Bahria Town Karachi location is at a distance of 9 KM from Toll Plaza, Super Highway. The distance of Bahria Town Karachi is at around 25 KM from Jinnah International Airport karachi, 6 lane road via Malir Cant. It’s at a distance of around 20 KM from city center. Bahria Town Karachi has announced that it is launching the housing project within this week. The booking forms will be available by or before 26th of January. This is the most awaited project in the real estate market, and this will mean the Karachi Forms Value will rise high within this week. It is advisable to get hold of as many registration forms as possible. Bahria Town Karachi has revealed details of its project contents, i.e. sizes of plots, villas and apartments. Bahria Town offers 125 Sq. Yards, 250 Sq. Yards, 500 Sq. Yards, 1000 Sq. Yards and 2000 Sq. Yards Residential Plots. Bahria Town Karachi offers 125 Sq. Yards, 200 Sq. Yards and 250 Sq. Yards Commercial Plots. Bahria Town Karachi offers luxury villas of 125 Sq. Yards and 200 Sq. Yards. Bahria Town Karachi offers 2 bed, 3 bed and 4 bed apartment with all modern life-style designs. Hoshang pearl, Icon Tower, Opal 225, and Bahria Town Tower forms can also be used in this booking so the discount announced earlier will be applicable on this booking too. As Bahria had announced discount of 5 lac rupees from booking price for hoshang pearl, opal 225 and bahria icon tower project forms, 3 lac rupees discount from booking price for Bahria Town Tower project forms, and 1.50 lac rupees discount from booking price for Bahria Town Residential Forms, these discounts are applicable in this residential project. This means that if you own a Hoshang Pearl Form, you can still book a residential plot and you will get the announced discount of 5 lac rupees from the booking price. However, this is an optional offer. If you do not want to avail this opportunity, you can use your form for the Tower Project at its launch. 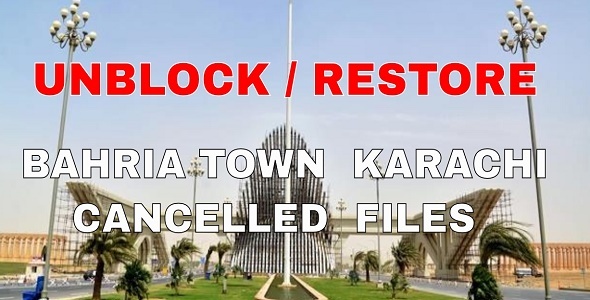 Bahria Town Karachi has warned dealers who claim to book confirm plots in bahria town karachi project. Bahria Town has clearly stated that allotment of plots will be done in a transparent manner through a computerized balloting system. And any dealer claiming to book confirm plots in bahria town karachi project is a fraud, and bahria town reserves the right to take action against these fraud dealers. Bahria Town Karachi launch is being considered as the biggest ever event in the real estate history of Pakistan and it is gaining immense appreciation and positive response from general public and property investors from all over Pakistan.